Harry Potter fans will fondly remember this quotation from Professor Albus Dumbledore. 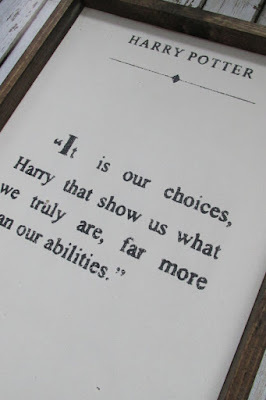 "It is our choices, Harry that show us what we truly are, far more than our abilities." I can even hear Professor Dumbledore's voice as he says this in Harry Potter and the Chamber of Secrets. You? Fans will therefore appreciate this simple, rustic framed presentation of the quote from WilliamRaeDesigns on Etsy. It's a great gift idea for a Harry Potter fan or a child's room. I can even picture it in the classroom. Generously sized at 12 inches by 24 inches, each piece is hand painted so no two will ever be totally identical. 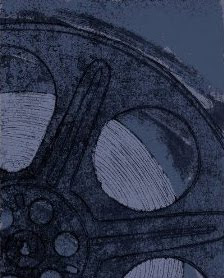 If you are interested, you can find it here on Etsy. 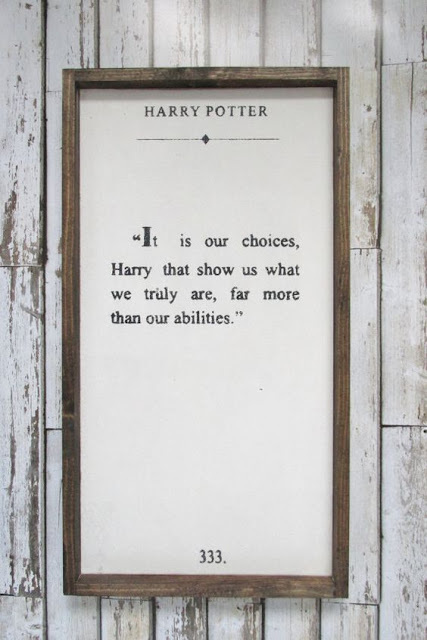 Order your framed Professor Dumbledore quote here. Find more Harry Potter quotations.